In honor of Veterans Day this month, November’s worthy organization is the ROBLEY REX VA MEDICAL CENTER. Since 1952, this medical center has been improving the health of the men and women who have so proudly served our nation. They provide services to 150,000 veterans living in a 35-county radius of the Kentuckiana area. Those services include primary care services, emergent care services, surgical services, social work, mental health care, oncology services, substance abuse treatment, hospice care and an on-site pharmacy, as well as other services to help veterans. They also help homeless veterans and host events like the Golden Age Games, the Wheelchair Games and the Creative Arts Festival. The men and women who serve in our military put their lives on the line to ensure safety and freedom of all Americans and the Robley Rex VA Medical Center’s staff works diligently to help them with any need they may have. This month our staff has been collecting new and used paperback books for the Robley Rex VA Medical Center’s library. 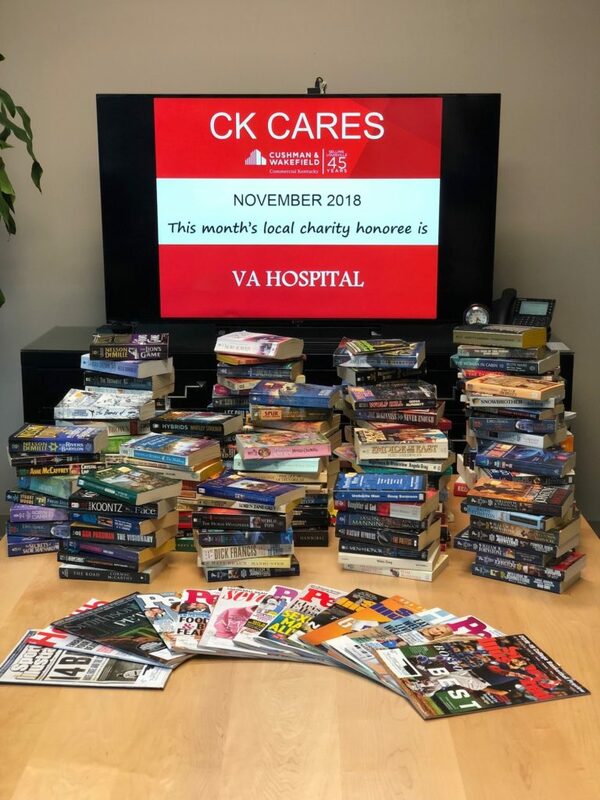 Whether veterans are having inpatient procedures, day-long testing or just waiting for emergent care, the Center’s library provides them with reading materials to help them pass the time and take their minds off of their current situation. We celebrate the efforts of the Center’s staff and we applaud them for all they do every day. We are proud to help them in their mission to help America’s veterans. If you’d like to learn more about The Robley Rex VA Medical Center, please check out ways to volunteer or donate here.